This cute little character may be an alien or a monster, you decide. It has wings and horns and a single eye. A creature pattern sits in the background. Fun clip art for your punk, urban, skate or kid friendly designs. 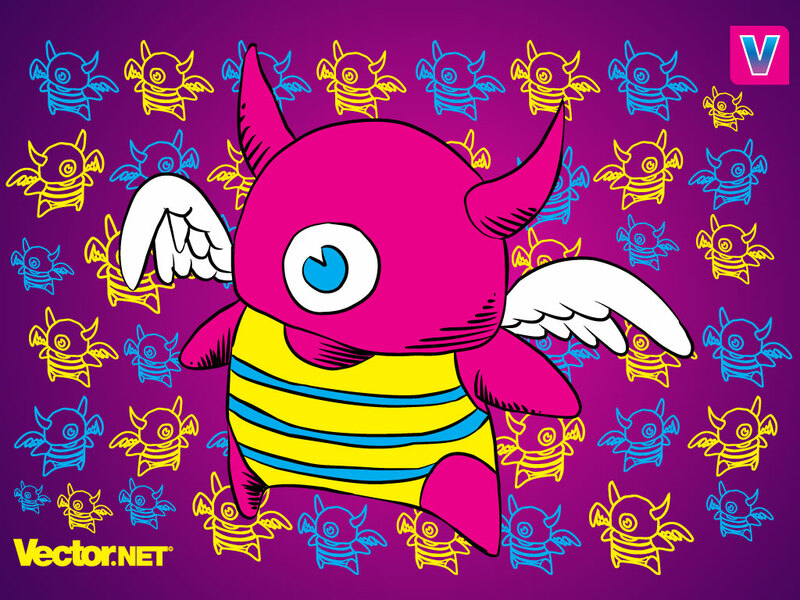 Tags: Alien, Cartoon, Character, Creature, Cyclops, Monster, Pattern, Wings.